On Holy Thursday, there will be Exposition of the Blessed Sacrament from 9 pm to midnight in the gym. 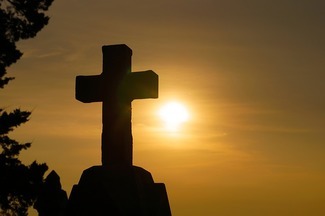 This is an opportunity to love, adore, pray and spend these last hours with Our Lord before the starkness of Good Friday and Holy Saturday when Jesus is not present in the church. Sign ups are only required for Exposition. The gym will be open all night and morning for anyone wanting to come pray. On Good Friday, you are welcome to adore the cross and reflect on Our Lord's Passion in the main church. After the final Good Friday service, the cross will be moved to the chapel. If you have any questions, please email [email protected] or call Debby Kellner at 513-779-7627 or Debbie Krzmarzick at 513-476-9570.